Let's Stamp! : All new colours! 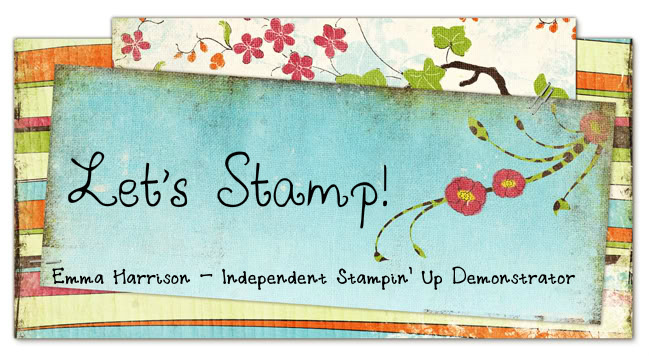 I've got some exciting Stampin' Up! news to share with you. We are having Colour Renovation at Stampin' Up! As from October we will be getting four revamped colour families (now to be called collections). The Colour Renovation has been based on customer feedback and new colour trends. Twenty-five of our current colours will remain and they will be joined by 15 new colours in the core colour collections! The re-vamp does mean that we will be losing some of the old colours, so if they are your favourites make sure you stock up on them whilst you can! 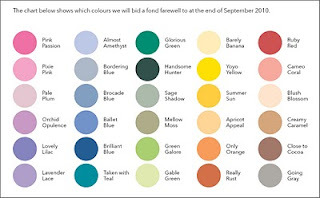 The colours below are the ones that will be retiring in October. 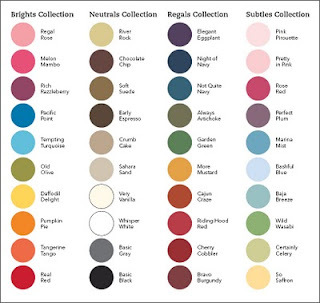 But look at all these lovely new colours that we'll be getting! The colour revamp applies not only to the cardstock, but also to the ribbons, ink, markers etc. On top of all the lovely new colours we'll also be getting In Colours! These will be a range of five new colours that will be introduced every year and will stay around for two years before being retired. This year we will only have 5 In Colours but each year after that there will be 10 new In Colours running alongside each other, so at any one time there will be 50 colours - 40 core colours and 10 In Colours! Think of all the colour fun you can have with them!